4G is the fourth generation wireless service offers high speed on-the-go broadband internet with high speed data transfer. 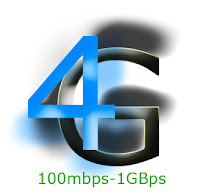 If you are planning to move from 3G to 4G service and want to choose a 4G service provider, you should read (below) some facts before selecting a 4G provider and why Clear Wireless 4G service is better than other providers. Popular cell phone service companies such as Verizon and AT&T tend to dominate the wireless Internet discussion, simply because they seem to advertise the most, and because they are linked directly to the purchase of smart phones and other devices that are capable of linking wirelessly to the Internet. However, when choosing a new wireless Internet provider, or when trying wireless Internet for the first time, it is important to consider that other providers can be just as reliable. For example, Clear Wireless is a company devoted to bringing you the fastest and most efficient 4G wireless coverage, despite the fact that it is not a cell phone company. For details on what sorts of packages and services Clear offers its customers, visit clearwirelessinternet4g.com; in the meantime, here are a few basic facts and comments about Clear Wireless. Some people think that an independent wireless company like Clear may be difficult or complicated to use, as, once again, it is not linked automatically to your wireless devices. However, Clear is still very simple to set up and use. Once you have decided upon a wireless package that suits you, you will receive a Clear wireless modem, which you simply plug into your device in order to gain access to the 4G network. Once connected (anywhere that Clear 4G coverage reaches) you will be able to enjoy full Internet access at quick and reliable speeds, and with maximum clarity. Essentially, setup could not be easier. The tricky part may simply be deciding whether or not Clear is for you. After all, it is an important decision, and you want to make sure that you are getting the most for your money. Here are a few small differences between Clear and its main competitor, Verizon, when it comes to their competing wireless packages: To begin with, Clear’s basic 4G service is slightly cheaper than Verizon’s (keeping in mind that Verizon adjusts price based on the amount of data storage space and capability you want with your device). This means that you can get full 4G coverage at a very competitive price. The only downside is that Clear’s basic package does not automatically connect you to 3G as well… many people enjoy a 3G/4G combination package, so that if for example you visit an area not yet covered by the 4G network, your device(s) will automatically revert back to 3G. Clear does, however, offer a slightly more expensive package that does allow for 3G/4G combination. Ultimately these are just a few differences to consider, but it is well worth considering looking into Clear Wireless when picking a wireless provider.